There were more than 1,200 organ transplants performed in Ontario last year. More than 1,500 Ontarians are on an organ waiting list today. Four years ago, one of those people was lifelong Niagara Falls resident Audrey Baskin. After a call for help on Facebook, Baskin received a liver donation in March 2014 from a friend she’s had since Grade 5. Now the mother of three – and grandmother of three more – is healthy and advocating for the gift of life. "It makes such a difference. It has made my life so much better. It’s a hard decision to be a donor and I'm lucky to have such a good friend," Baskin said. Niagara Health is committed to promoting the importance of organ transplants and the vital role of organ donors. Last month, Niagara Health was recognized by the Trillium Gift of Life Network (TGLN) for meeting important organ and tissue donation benchmarks over the past year. TGLN recognized Niagara Health with the Provincial Conversion Rate award. Between April 2017 and March 2018, Niagara Health was among 24 Ontario hospitals to meet TGLN’s target of a 58 per cent conversion rate. A conversion rate is the number of potential organ donors who became actual organ donors and is an important indicator of organ donation success for TGLN. "We are proud of our success and honoured to work with Trillium Gift of Life Network in this important effort to save lives," says Heather Paterson, Niagara Health's Director Patient Care, Medicine/Critical Care. "We recognize that organ and tissue donations are the direct result of a family's loss of a loved one, and we are extremely grateful to our donor families who make the decision to give the gift of life." "We are proud to acknowledge the important contributions of our hospital partners because the success of organ and tissue donation in Ontario relies on their hard work and dedication," says Ronnie Gavsie President and CEO, Trillium Gift of Life Network. "This award reflects the continued commitment of Niagara Health to implement donation best practices and offer families the opportunity to make a lifesaving choice." Baskin has high praise for the care she received locally before her transplant. "It has made such a difference in my life. I can't say enough good things about the care I received. Keeping me as healthy as they did made all the difference," said Baskin. "You've got to sign up and you have to let your family know. People don't always realize that your family could not consent, even if you’ve registered," Baskin said. TGLN is a not-for-profit agency of the Ontario Government that plans, promotes, coordinates and supports organ and tissue donation and transplantation across Ontario. 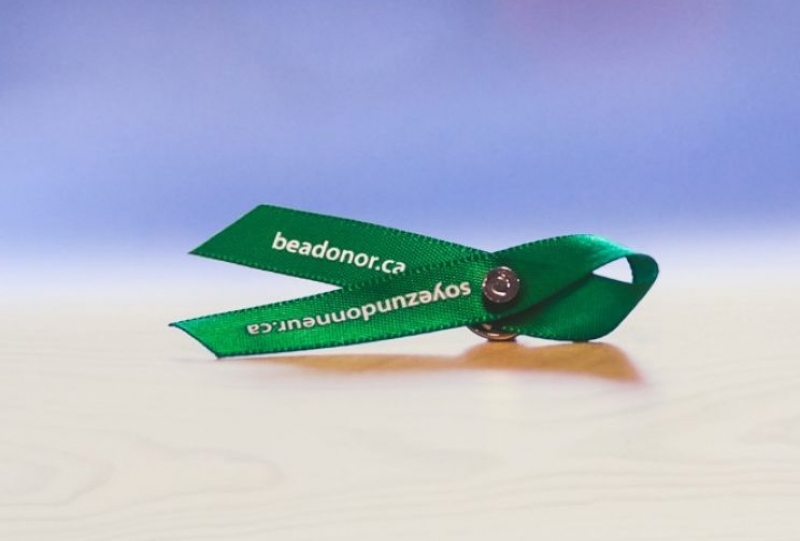 TGLN recently reached four million Ontarians who have registered their consent to donate. Register or learn more about organ and tissue donation at www.BeADonor.ca. Media coverage: Listen to Niagara Health's Dr. Hari Vasan talk about the importance of organ donation on Newstalk 610 CKTB.